Our June retreat is located between the Luberon mountains and the Mediterranean. 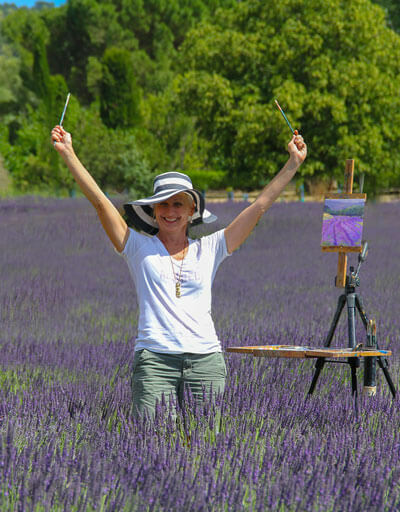 It is a wonderful opportunity to paint with other artists and spend 10 idyllic days in the South of France. 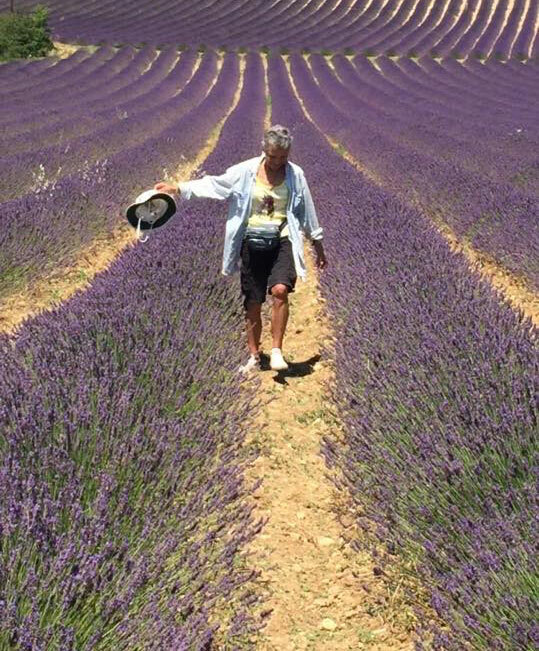 All while surrounded in the natural beauty and bounty of Provence in Lavender Season. We carefully selected this location on a beautiful château estate only 40 minutes from the Mediterranean, but completely secluded in the calm countryside just North of Aix en Provence. (images here). Dinners, transportation and accommodations are included. Aix is a university town with a thriving cultural center. Here we will visit Cézanne’s studio, left just as it was when he painted there. 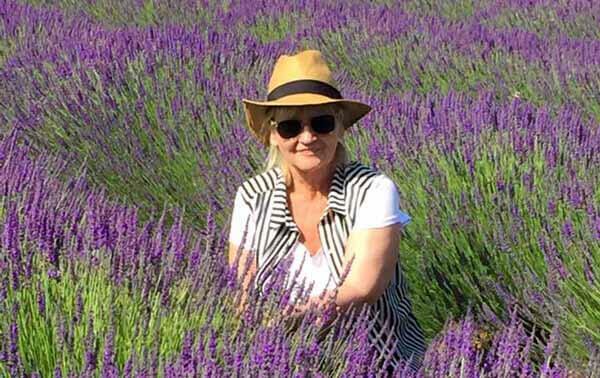 June is lavender season! You will paint fields awash in lavender. We also go to the port town of Cassis where traditional fishing boats make for a great study of the old port. Of course, we make time to explore vineyards and even have special permission to paint there. 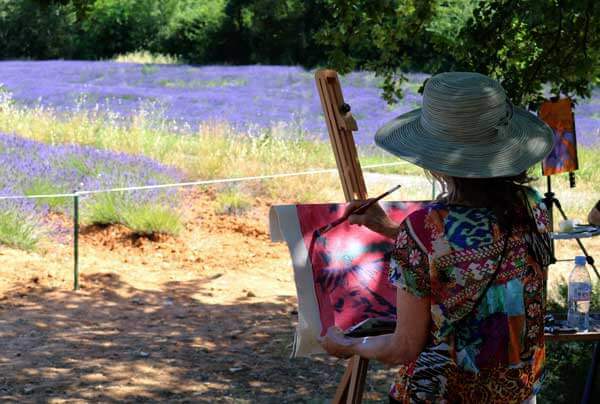 We paint at the most beautiful villages in Provence. A couple featured in the movie, A Good Year, with Russell Crowe and Marion Cotillard (based on the Peter Mayle book). Your itinerary includes markets, vineyards and visits to breathtaking hilltop villages. We’ve chosen locations where we have access to our vehicles, materials and cafés. Bring your camera because you will be truly inspired by your surroundings and want to snap references to paint later. After dining together in the great room, we take up various painting related topics for discussion and demos. Although the workshop is not instructed, when painting side-by-side with other artists, you’ll leave the retreat with stronger skills and lifelong connections. Wonderful guests from across the world have joined us for Workshops in France, including painters, photographers, writers, and a sculptor. Hear what they had to say about their experience. Price based on double-occupancy. Single rooms are available. Airfare not included. Discounts available for spouses or partners (painting or non-painting.) $500 Deposit required to hold your space. Have questions about Workshops in France? We have answers on our Frequently Asked Questions. Daily painting locations: Private vineyards with wine tasting, fishing ports and seaside villages on the Mediterranean, charming villages, markets and lavender-filled views.